Foodspiration: Foodspiration is on an Inspired Cooking Vacation! Hooray! We are finally starting our week of Foodspiration vacation! It's NOT a vacation from the blog but FOR the blog. 1) one really inspiring house in Mendocino overlooking the ocean and with architectural charm and character from the 1960s. Mix well, let simmer for 6 days until wonderful ideas and inspiration develop! Look for daily blog posts from us this week! Looks amazing!! Have a wonderful vacation! Looks like a lovely location! Enjoy! That looks like Heaven! I hope all your dreams of cooking come true! Beaker will no doubt be spoiled with all the quality time with you. Bon Apetit! 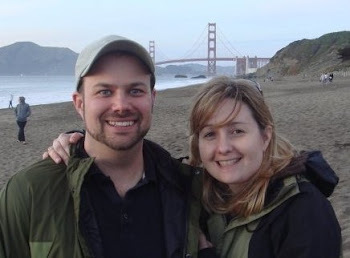 ... and we enjoyed having Lauren & Justin stay at our vacation rental in Mendocino, Chapman Point House. When they return, and we hope they do, can we come to the house to at least LOOK at the fine food?... and, is it OK to add a plug? - www.mendocinopreferred.com.